Get in the best shape of your life! – Most of us, work hard and play even harder. Hitting the links and spending time in the gym are things that most folks enjoy and they focus a lot of effort toward putting their very best foot forward. Sometimes, we all need a little extra boost, maybe a little extra help to overcome a stubborn part of our physique or overall look that just can’t be fixed without the right procedure. Consequently, men are interested in being at the top of their game, and we at the Estetica Institute are interested in making those goals a reality. 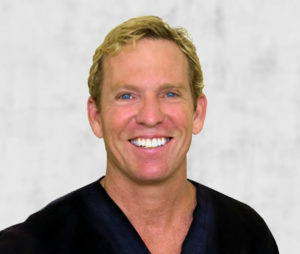 Here are some of the procedures that we offer our patients that have dramatic and sweeping effects on men’s lifestyle and the quality of living that life. Liposuction – Get rid of that stubborn extra fat that just won’t go away no matter how hard you work out. Contact us and lose that nuisance once and for all. Liposuction for men is a procedure that slims and reshapes specific areas of the body by removing excess fat deposits. The procedure improves your body contours and proportion, and ultimately, enhances your self-image. Used to reduce localized fat deposits of the Abdomen and waist, Liposuction has become popular with health driven patients. Hair Restoration – Our doctors will give you back your hair and it’s only a Free Consultation away. All you need to do is look at some of Hollywood’s hottest leading men to see that rocking a bald head can work for some guys. Dwayne Johnson, Vin Diesel, Bruce Willis, Jason Stratham are all great examples of when it all comes together. But we understand that it’s NOT for everyone! If you are one of the 70% of men suffering from Male Pattern Baldness, yes there are answers and solutions. We can put that mane of flowing hair back in its proper place.